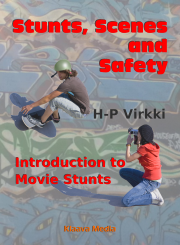 Stunts, Scenes and Safety introduces readers to the concepts of stuntwork. The book builds a learning path for readers who are planning to create action scenes for their home videos featuring, for instance, skating, parkour, BMX biking, or similar activity. Practically anyone with a modern camera can learn the basic skills of creating action-packed movie scenes. The book explains the concepts of timing, camera awareness, shot size, rhythm and camera angles. When these elements are combined with aspiring stunt person’s own creativity, physical fitness, talent in front of the camera, and video editing competence, the results are ready for YouTube. The book describes how professional stuntmen prepare for action scenes, how they rehearse, what kind of technical equipment they use, and how they plan their performance before stepping in front of a movie camera. Anyone who is hoping to find a career in stunt business will get valuable tips from the book. Moviegoers can get unique behind-the-scenes insight on movie making and stunt work. Large selection of photographs, video segments, sample scripts, camera maps and other practical material make it easy to adapt the information into personal video projects. The book also features tips for experiental learning and adventure education practice sessions. The author, stuntman and stunt coordinator H-P Virkki, has performed in many movies and he has trained actors, athletes and stuntmen at dedicated courses, universities and theaters. 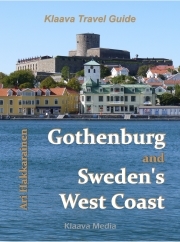 Available on Overdrive for libraries and retailers. View sample pages of the iBooks edition of the book. 2.4 Sharp, Alert and Focused! Terry Leonard: How a Football Player Turned Into a Barbarian?